UNSURE ABOUT THIS PIECE OTHER THAN THE NAME ON THE BACK. WRITTEN IN TWO LANGUAGES. 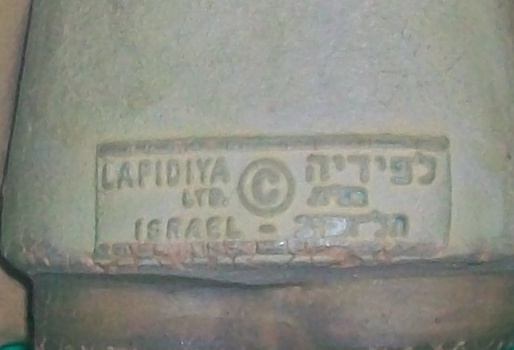 LAPIDIYA LTD. ISRAEL. ANY INFO ON VALUE AND WHAT IT IS WOULD BE AWESOME!!! anyone with info on this piece??? ?